At Morrey Nissan of Coquitlam located in Port Coquitlam, serving the Tri-Cities and surrounding areas including Port Moody, Anmore, Pitt Meadows, Maple Ridge, Surrey, New Westminster, we offer our customers a wide selection of brand-new 2018-2019 Nissan vehicles including the popular Nissan Micra, Canada’s most affordable vehicle. We also have plenty of Sentra and Versa Note models in stock for those who want comfort and fuel economy first. If you need more space, come drive the new Rogue, a vehicle that has been excessively popular since it first arrived on the market. We also have plenty of Altima models to choose from, and a wide selection of Pathfinder vehicles also for families who don’t want to compromise. If you are in the market for a pick-up, come in today to Morrey Nissan of Coquitlam and learn more about the brand-new Titan, or the rugged Frontier. 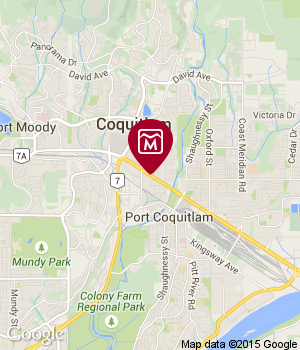 At Morrey Nissan of Coquitlam, our team of sales representatives will work with you to help you find the perfect new vehicle for your needs, budget, and lifestyle. Our pressure-free sales environment makes it easy to learn more about our new 2018-2019 Nissan vehicles, and then to make an informed decision to make sure you leave our dealership with the new vehicle of your dreams. We also offer a wide range of financial services with affordable interest rates on both financing and leasing. You can even start a financial application online. To learn more about our lineup of new Nissan vehicles or to book a test drive, contact Morrey Nissan of Coquitlam near Surrey, Langley and Richmond today at 604 676-6984, or online using a contact form.